Storage... Probably the biggest problem when it comes to living in a small room/studio or apartment. But don't panic, you don't necessarily need to live with piled up boxes or stacks of clothes on every surface! There are plenty of ways to save space, neatly store away your belongings and add 'volume' to a tiny living area. Even better, you don't necessarily need to spend a fortune or employ someone to build fitted furniture! So if you feel as though you're being crammed in by clutter, check out these 23 space-saving ideas and turn your little nest into a bright and airy space. Perfect for when you want to work or eat! And they're also easy for DIYers to make! 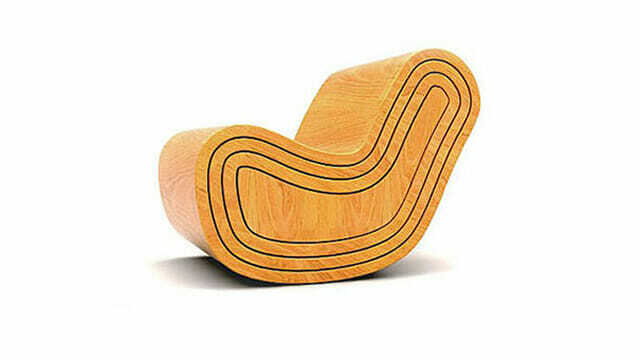 A cool design that takes up virtually no space! Sleep or sit with this super-comfy armchair meets futon design! This magnetic mat means you can iron your clothes on any metallic surface! A practical, lightweight, easy-to-store ironing board alternative! 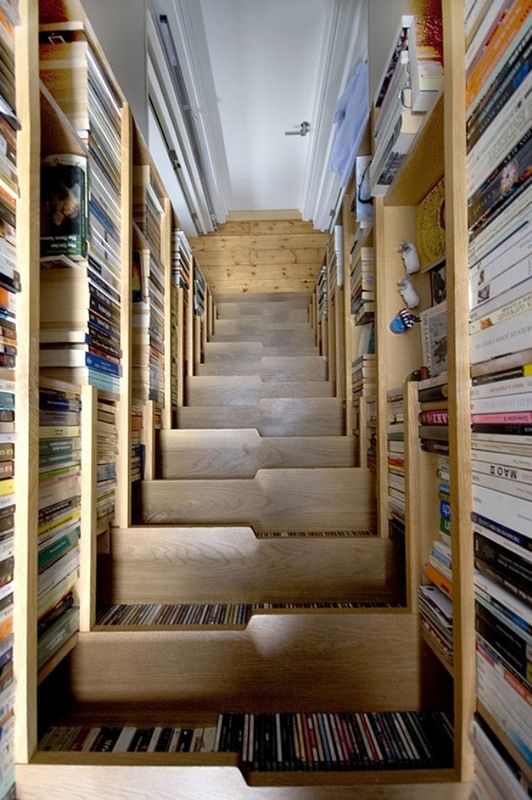 Hollowed out stairs can also be used for storage and if the staircase is wide enough, you can add some shelves! 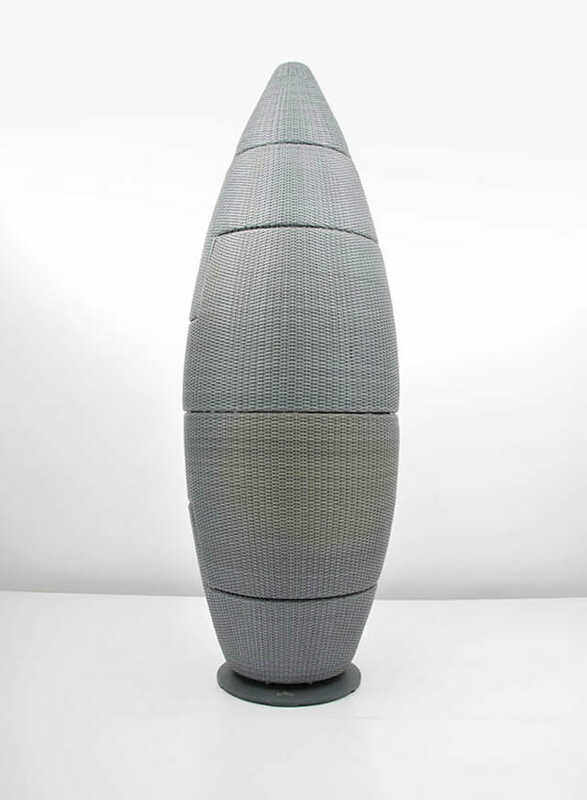 We love this space-saving cocoon design that neatly stacks away 4 chairs and a table - great for tiny terraces! 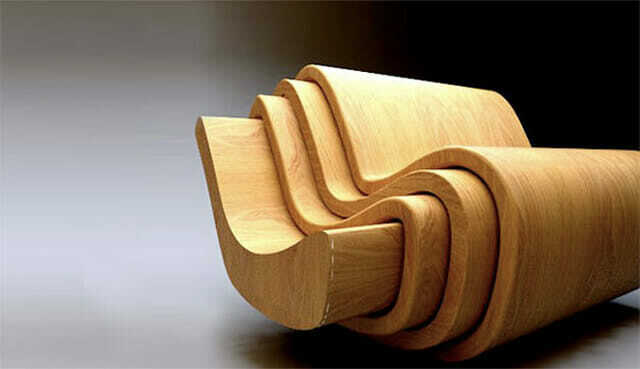 If you like rocking chairs and have limited space, then try this 'Russian Doll' idea! 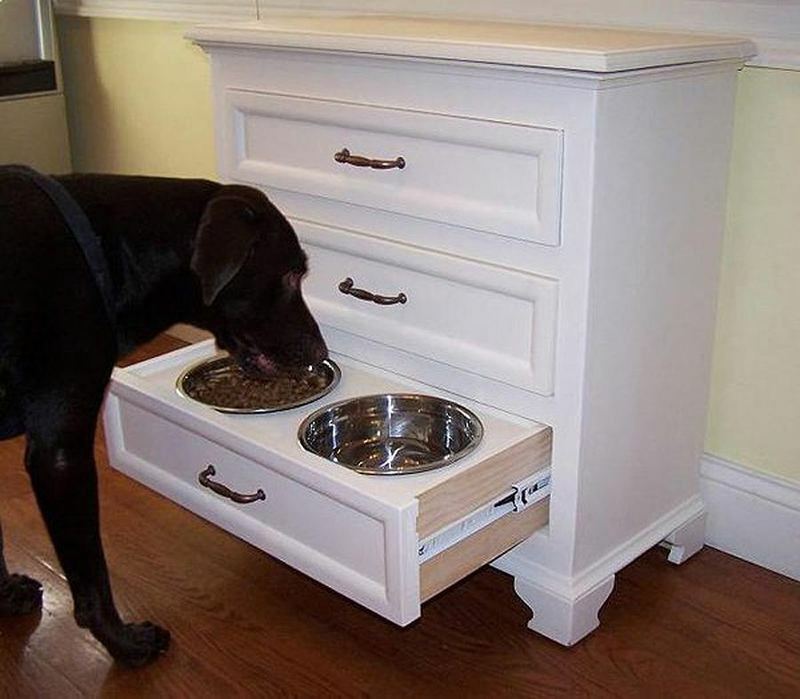 Once your four-legged friend has had its fill, just close the drawer. Plus it also means your pet won't be tempted to snack throughout the day! Perfect for tiny rooms - block out light and dry your clothes with this nifty design! 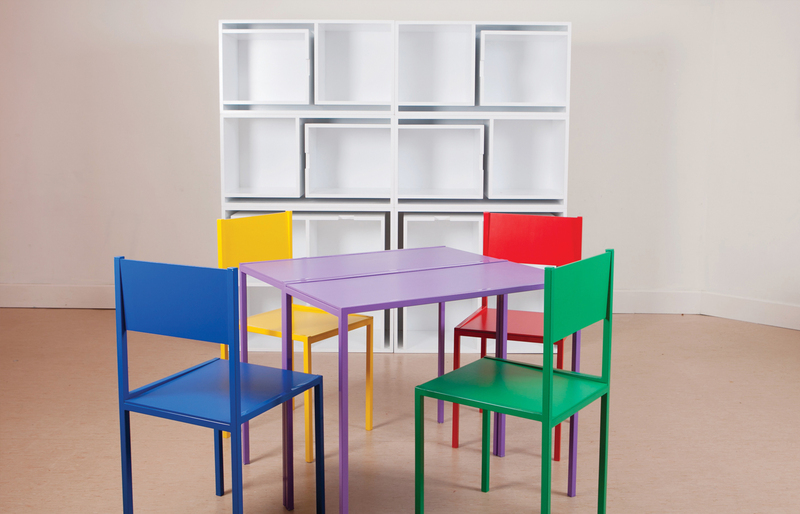 This bookcase can store four chairs and a table! With plenty of shelf space for crockery, this sleek design means you can create a dining room whenever you like! Got an unexpected visitor? This sofa meets bunk bed is great if you have guests or if you live in a studio that doesn't have room for a separate bed! Just pull the bed down over the couch and enjoy a good night's sleep. 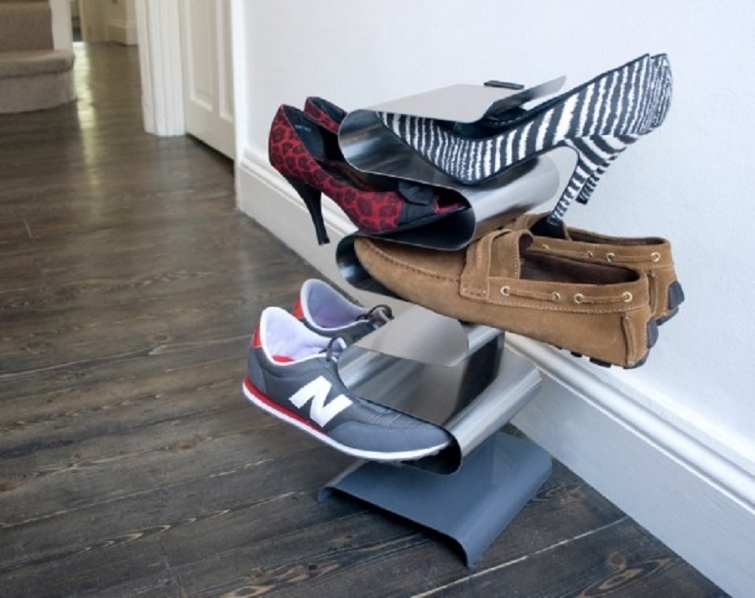 Another awesome space-saving idea if you live in a studio or small apartment!